We’re finally ready to reveal the new look and key features coming in Vantage 4.0! It’s by far our most advanced theme yet. In addition to a design refresh, the code under the hood has been almost completely rewritten. 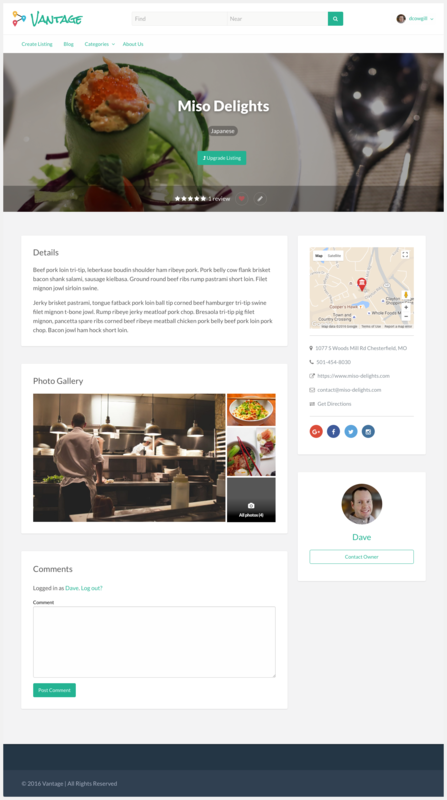 Our main goal was to update the design and make the theme much easier to customize and use. Update Mar 22, 2017 – Vantage 4.0.1 has been released and is available for purchase! We’re still updating our marketing material and docs so things will slowly be rolled out. Existing customers can use 4.0.x but won’t be able to upgrade an old 3.x site until 4.1.0 has been released (mid April). It will contain the migration script to ensure everything gets transferred over properly. Note: You won’t lose any data if you activate 4.0.x on your old site. Things like reviews and search will just not work properly. We took this feedback to heart and did our best to include these requests (in addition to other items). Here’s a high-level list of what has changed. 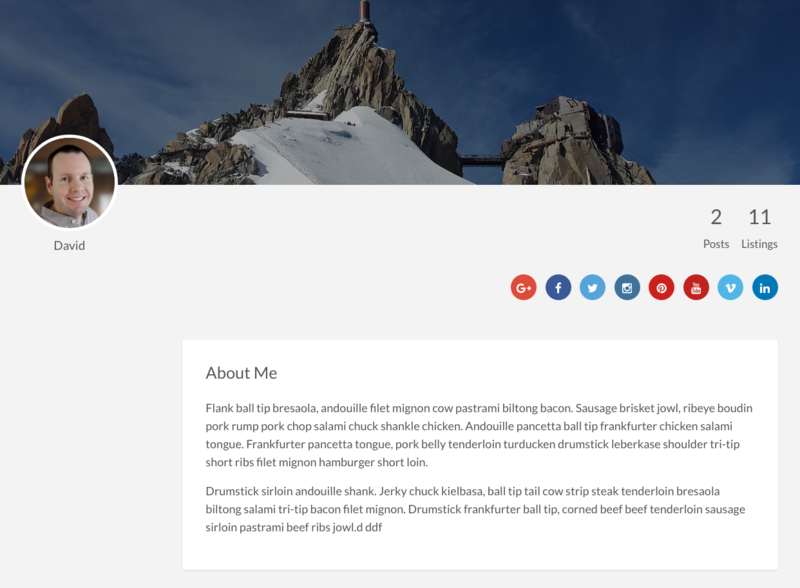 We’re using the native WordPress customizer for easy color changes. Each page module can be moved to any position you like. 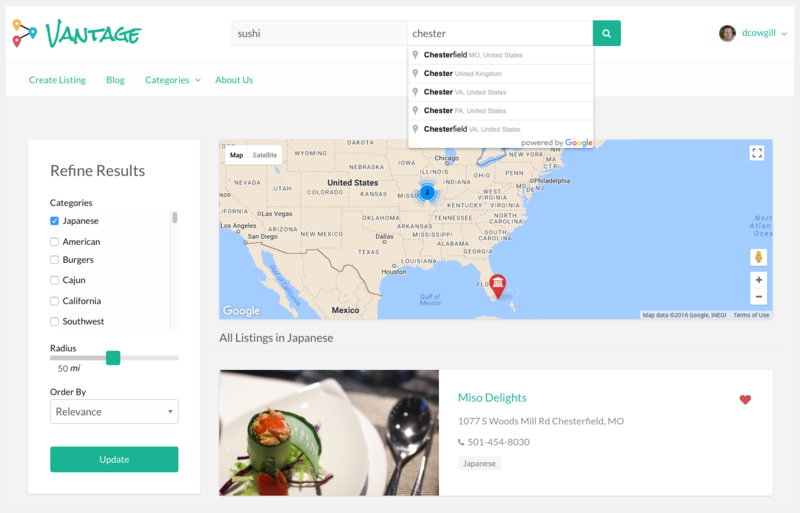 For example, on the single listings page, you can move the photo gallery above the main content module or move the comments/reviews modules to the top of the page. In addition, sidebars can be moved to the left or right side…or even removed completely. We’ve basically made it super easy to drag and drop content blocks (modules) into whatever location you like! Also, we’ve added a nifty new feature to allow cover photo (aka large header photos) to be added to many different locations. These include the home page, single listings & categories, blog posts & categories, author profile pages, etc). There’s still a lot of work to be done and bugs keep popping up but we’re targeting an end of the year release launch. Update Mar 18, 2017 – We’ve patched up the Updater API and fixed some bugs in 4.0. Look for 4.0.1 to appear next week for download. Note: Existing customers will be able to download it but the migration script from 3.x will not be available until 4.1.0. That means you can install it on a fresh copy of WordPress and everything will be setup correctly but using it on your existing 3.x site, it won’t work properly. Update Mar 11, 2017 – We had to pull the Vantage 4.0 release down due to some unforeseen issues with our Updater API. The plan was to allow existing customers using 3.x (who didn’t want to upgrade) to manually download 4.x so the auto update wouldn’t notify them of an update and on click, blow away their existing site. Turns out it wasn’t working correctly and the API needs some additional work. We chose to err on the side of caution so more customers wouldn’t be affected. We apologize for this “false start” and will be working the next several days to resolve the issue. If all goes well, we will re-release 4.0 later next week. Update Mar 9, 2017 – Vantage 4.0.0 has been released! We’re still updating our marketing material and docs so things will slowly be rolled out. In the meantime, you can download it and tinker with it. Update Feb 22, 2017 – We’re back to Vantage work after a few weeks off. Unfortunately during these past few days our Jenkins CI server crashed and we had to completely rebuild it. Artem and I spent several days working on that instead of Vantage code. 🙁 That server is very important as it runs tests and automatically builds our products into .zip files (from our Github repos) to deploy to our file hosting server (where you download things from). Without this server working, we couldn’t release any of our themes. So….we’re back online finally. So from here, we expect another two more weeks of development time before release. That puts us at March 9th, 2017. Update Jan 29, 2017 – I’m going to be honest. We’re completely burnt out and need a break. The stress, pressure, anxiety and lack of sleep is taking a toll on our bodies. Our dev team (myself and Artem) have been working so hard on this release non-stop for months and we physically cannot continue coding and testing until we get a few weeks break. I hope everyone understands and is able to wait a bit longer (two weeks break plus one-two weeks more dev time). It’s painful, I know but we’re actually human and need some time to recover. Thank you for understanding. Update Jan 14, 2017 – We’re really really trying to get this launched and we’re sooo close….however, last minute bugs keep popping up which push back our launch date (sorry sorry sorry!). We also have some personal things that are taking us away from work time (e.g. my 11 month old daughter is teething so sleep = very little). Sorry to disappoint — especially for those waiting to start their new site. Don’t worry, we’ll have a special promotion for you once we launch! Keep checking back on this post for updates. Jan 6th, 2017 Update – The Vantage 4.0 demo is now live! Disclaimer: It’s a work in progress so things may change as we make updates or fixes. 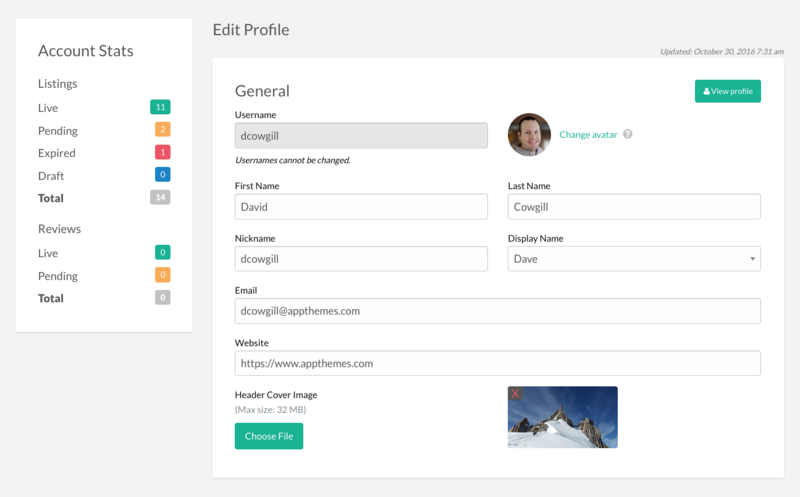 The official demo with access to a user account and the backend, will be available once we launch later this month. Update Dec 21, 2016 – With the holiday season in full swing and some technical setbacks, we won’t be able to deliver 4.0 before year-end. We are very disappointed as we hoped to release it next week. The good news is, we’ll have a public demo available soon for everyone to check out. New ETA? With Christmas and New Year holidays this week and next, our team will be taking a much needed break. We’ve been working ’round the clock on 4.0 so it’s time to recharge our batteries and then return for a final sprint to finish up the theme. With that being said, January 15th is our new target date. Is it a Free Upgrade? Yes, if you’ve got an active subscription to either Vantage or Club or are a legacy customer (with lifetime updates), the upgrade will be free. If your subscription has lapsed, you can easily renew once 4.0 comes out and get access right away. So what do you think? We’d love to hear your feedback! i can’t see 4.0 in my downloads. is it removed? Hi David! so great to have the update now- BUT WHERE CAN I DOWNLOAD IT? We pulled the download for now because it was causing issues with our Updater API. Hope to have it available again next week. Hi David i got like 5 websites waiting for your new awesome theme. When it will be downloadable again? – Add to the number of pictures / unit, to be able to uploads more pictures up on the site once, do it automatically optimize photos uploaded, make possible listing by a field value, we want to decide the order units from first to last, etc. 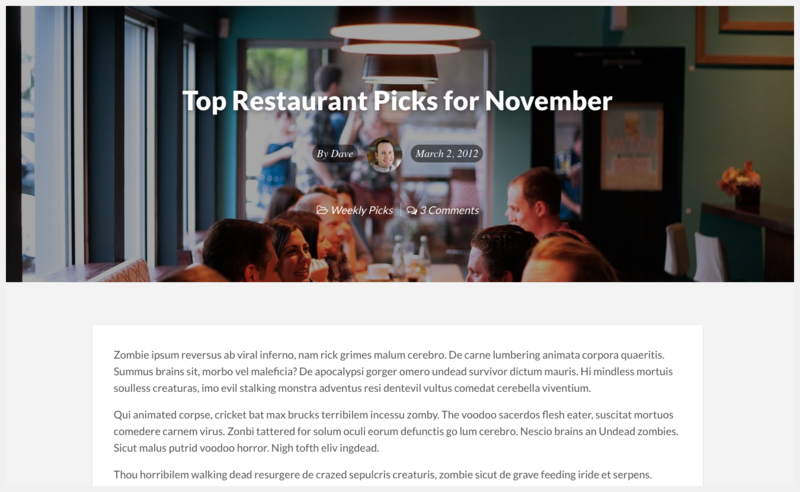 -Larger thumbnails of the list on your desktop and make images appear in the list on the mobile. – Take pictures to be able to change position each others. etc. They changed so many things that we can’t even customize the same way as on old Vantage. No way to export from old Vantage to v4. They will lose lots of customers for sure. We have been waiting a long time for v4 for nothing. Anyway, good luck. I’m not sure what you’re referring to but with 4.0, you’re able to customize so much more. 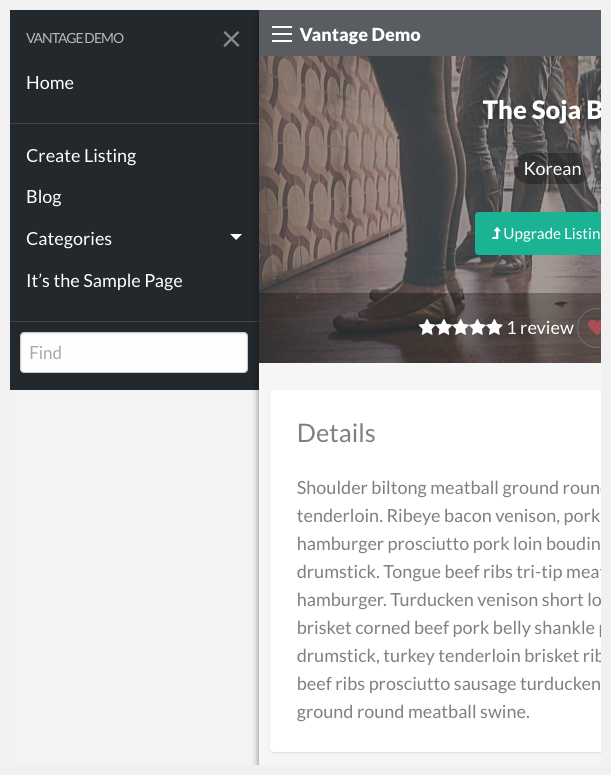 Page content blocks are all widgets, we use the native WordPress customizer, sidebars can be left or right, and much much more. Se eu comprar agora consigo baixar a versao 4.0 de imediato? Quero brincar com a nova versão. No. 4.0.1 estará disponível na próxima semana. Any update on when 4.0 will be available to download again. We missed the short window when it was up I guess, and we’re really excited to begin testing. 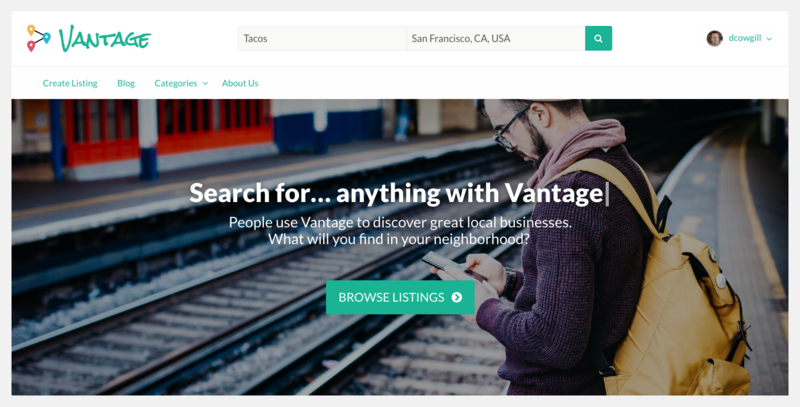 We were in the process of redesigning our site, but put it on hold when we found out about the new Vantage. We are currently holding on a couple new initiatives for our site redesign to be finished, but can’t hold on them much longer. Any update is appreciated, or is there a way to just get the Theme files and bypass your updater. Thanks for the help, and we can’t wait to dig in to the new Vantage. We’ll be re-releasing it next week as version 4.0.1. 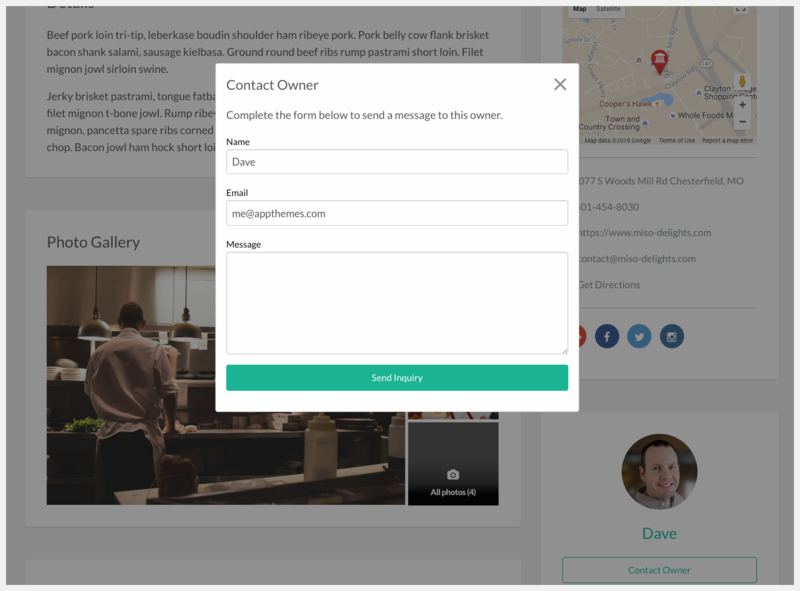 Why do website fields now require “http://” ? Because it’s required to resolve a url. It allows people to user http or https since more and more sites are switching over to the secure https protocol. I can understand that side of it, but I’m concerned about it from a usability customer perspective. This is not really standard functionality across other websites. After being informed that they need to “please enter url” they may not understand why when they’ve already entered a url it is not submitting. Btw, loving the new theme. Much easier to customise and develop, and agree with the decision to remove old functionality like events. Thanks Josh. So technically, the website field now uses a “url” type instead of the old “text” type. It’s the html5 standard now. That’s why you’re prompted with the “please enter url” message. Sorry, I pasted it wrong, what I meant is that if someone pastes http://www.example.com they are prompted with a message saying “please insert url” instead of “please add “http:// to website url” which has the potential to create confusion. Josh, let’s take this discussion over to the Vantage 4.0 forums. Thx. Google just sent me a message that login and other pages on my Vantage 3 install will be flagged in Chrome browser soon if they don’t use https. Google mentioned this last year. It’s not just Vantage. Any page with a password field that isn’t using https (SSL), will be affected. We recommend purchasing an SSL certificate and asking your host to help set things up. As I am a develpoer I can understand there is a lots things to do to launch this kind portal, a lot of test & fix bugs, it is a lot of work. but we had to know it will take how much time and when it will done, but this project already 3-4 month delay? I following you guys since 4-5 year, I respect you guys & your work, I really want Appthemes will become biggest IT company in world. please don’t disappoint us. Please next time be sure when this project will complete. Thanks Rajveer! 4.0.1 will be released this week. I need help. I have the instructions for setting up V 4.0 and as I cannot be made to learn anything new, I have a girl who is taking courses in WordPress and she is having a tough time setting up. Is there anybody that would like to take on the paid task of setting up V 4.0 and the other AppTheme products on a server that already will have the themes uploaded but not configured? I’m happy to pay. I’m in Canada. We’ve got certified partners who can help you out. I’m sure you could also find someone in the forums as well. It’s coming back out for release this week. Vantage 4.0.1 has been released and is available for purchase! We’re still updating our marketing material and docs so things will slowly be rolled out. Existing customers can use 4.0.x but won’t be able to upgrade an old 3.x site until 4.1.0 has been released (mid April). It will contain the migration script to ensure everything gets transferred over properly. Note: You won’t lose any data if you activate 4.0.x on your old site. Things like reviews and search will just not work properly. 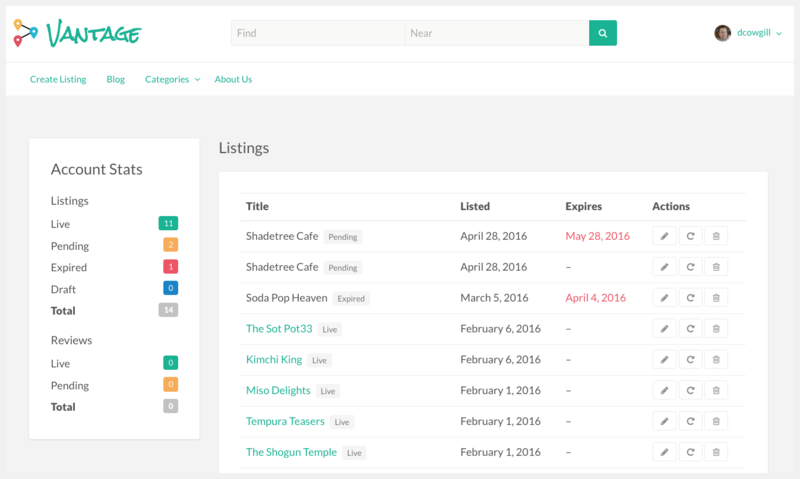 I have a question: so I just have to download this theme and upload to old directory all listing will show automatically right? or i have to reinstall WordPress again for this and import all listing again? Please read my comment above. I was wondering if there are any plans to have automated user geolocation? There was a 3rd party plug in for the old vantage but I see its no longer supported by the developer. We actually had a user initiated geolocation feature (they click on a compass) in our initial prototype, however we pulled it because it required https. In other words, if your website wasn’t setup with an SSL certificate, it didn’t work. Hopefully we can figure out another way to implement it. It was a cool feature! This is an amazing feature @David. I have been following closely and this feature would make me swap version 3 for version 4 of vantage. Otherwise for my purposes at the moment, 3.x is the best solution. I am excited to see your work on classipress;) Great job to you and the team. Yeah, we’d like to bring it back. It’s just a matter of getting it to work with or without SSL. I’d say the majority of all our customers don’t use https. Hi David, I believe you could be wrong about SSL. There are legal requirements in many countries on holding customer data. A Directory holds a lot of data, I have had many unauthorised attempts at trying to access. David, I’ve just noticed that in waiting patiently for 4.0 to be released, my subscription to it expired, so now I can’t download it. I don’t think that’s quite fair, do you? same thing happened for me actually, expired while waiting for version 4. Also now I see that I can’t upgrade my website to version 4 until 4.1 is realsed and I have no idea on when that will be. I’ve extended your subscription another week so you can download 4.0. Eu também acho que não é justo comigo. Senhores, a minha licença não pode ser estendida? Nós estendemos sua licença também. HI David, been following all the posts for a while. Checked out demo and it looks very functional and well structured. My question is: Do I need a development background to install this and get it set up? Or is it as a simple “plug and play”? As with any website back-end, I understand there will be an element of learning and trail and error. No development background required! This is by far our most customizable theme. Have a look at our Vantage promo video for more insight. I’ve installed Mailpoet. (but in another page we have maiopoet and your example still working, only when I try to change it for my one). It’s a bug that will be fixed in 4.1.0. My subscription had expired and I renewed it around the same time this comment was published in anticipation of 4.0 being released before the “end of the year” (these things happen) so I was also happy to see all feature plugins would be made available for *Free*? So what happened? Do we now have to purchase the plugin(s) separately or will this/they be added to people’s download areas if they purchased / renewed their subscription prior to 4.0 being released as I did? No, that statement still holds true. We just haven’t added it to any customer accounts yet. We’re working on a few marketing campaigns and 4.1.0 since we haven’t officially announced it to our customers and prospects. Once that’s done, we’ll get it added. the magnifying glass search field does not work on Firefox. No need to put this comment but please fix it with the next update thank you. Thanks for letting us know. I’ll get our dev team on it. Hi, what is my best option for adding events to 4.0.1? There really isn’t one unless you use a separate plugin. We haven’t tested any though. If events is detrimental to your business, stay with the older Vantage version. Thank you for upgrading Vantage, it’s a lot of improvement. I have one question : Are you planning to upgrade the Clipper and the Classipress this year? It could be more doable since you have experiment a lot from the Vantage upgrade. We don’t have a timetable yet for our other themes. Just focusing on Vantage 4.0 right now. Any plans to add the Events module back in? 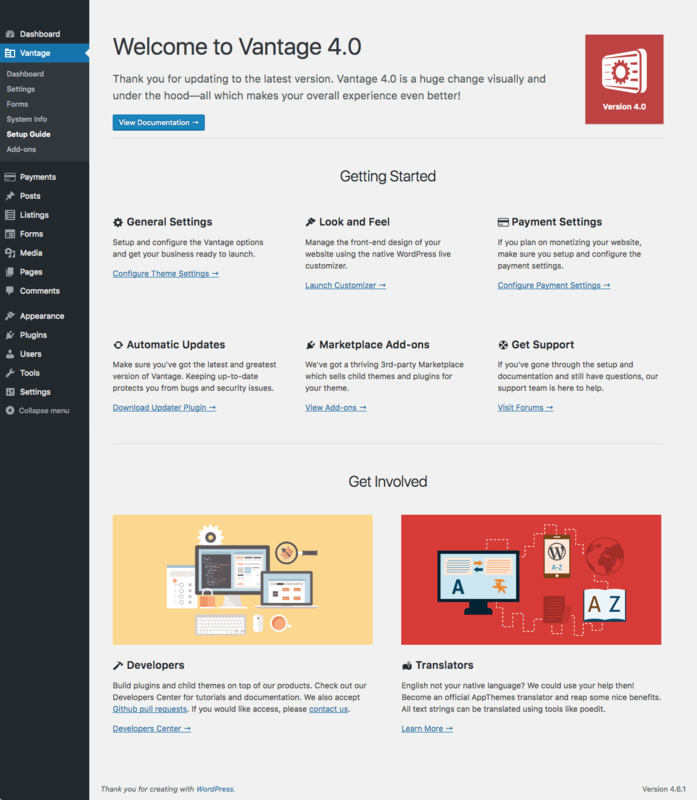 Are you going to update old version of Vantage like security or WordPress update? Yes, only security and compatibility releases for the rest of this year. And one more question, do you have any timetable for new Classipress? I came to ask the very same. Also curious what changes are planned for Classipress, will it be based on the same framework of as the new Vantage? Hi, what is the current status of 4.1.0? @fitness24, we’re still working on it. The upgrade script is taking longer than expected. I have Version 3.0.1 in website directory website 7000+ listing, so if I will upload new theme everything will work file? @Rajveer, you should wait for 4.1.0 which contains the upgrade script. Do we seriously have to pay for the ‘Critic’ plugin in order to get back the functionality for ratings? If so, will this also be a ‘Sort by’ option in the listings search page? Or perhaps I’m just missing a setting somewhere? Vantage 3.x users will get Critic for free.